In today’s News & Notes, Timo Meier has been fined $2,000 for embellishment, J.G. Pageau will have a hearing with the NHL’s Department of Player Safety and the Carolina Hurricanes have signed Stelio Mattheos. The NHL’s Department of Player Safety has fined Meier $2,000 for embellishment. The incident occurred at the 16:36 mark of the second period on March 16 in the San Jose Sharks game against the Nashville Predators. In the NHL, there is a scale for embellishment penalties that gradually escalate fines for players and eventually coaches if the pattern continues. Meier was previously issued a warning for embellishment on Feb. 5 and as such, his second violation came with a $2,000 fine. The incident occurred when Predators’ captain Roman Josi was whistled for interference against Meier. Meier would receive an unsportsmanlike conduct penalty on the play for embellishment which would result in offsetting minor penalties. The 22-year-old Meier is having a career-year as he’s reached career-highs in every statistical category this season with 27 goals, 33 assists and 60 points in 70 games. 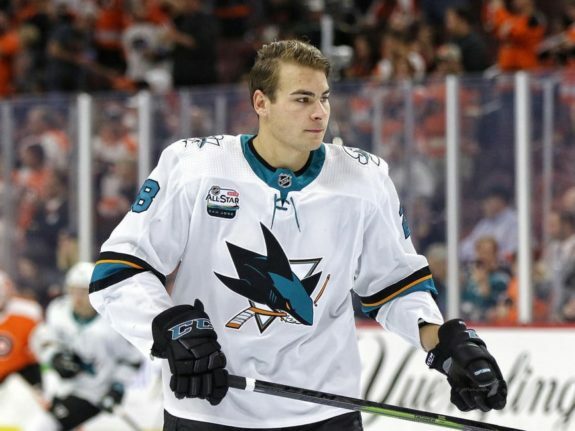 The ninth-overall selection from the 2015 NHL Entry Draft, Meier is legitimately proving his worth with the Sharks. 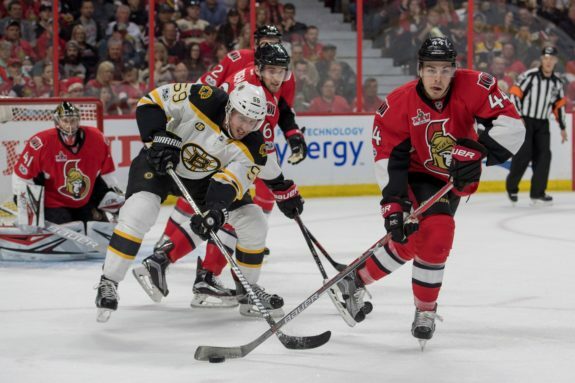 Pageau will have a hearing with the NHL’s Department of Player Safety for a boarding penalty that occurred in Wednesday night’s game against the Vancouver Canucks. Pageau was assessed a two-minute minor penalty for the penalty (a boarding call against Canucks’ defender Ashton Sautner) but the NHL’s Department of Player Safety obviously felt that it was enough to warrant some form of supplemental discipline. The 26-year-old Pageau has played in 31 games this season and has scored three goals and 10 points. He’s never been suspended in his 360-game NHL career. Unfortunately for him and the Senators, that could change following his upcoming hearing. The Hurricanes have signed Mattheos to a three-year entry-level contract that will start during the 2019-20 season. The deal will pay him $700,000 at the NHL level in 2019-20 and 2020-21 while jumping to 750,000 in 2021-22. He’ll also earn $70,000 per season at the AHL level and receive a $277,500 signing bonus. The 19-year-old winger will spend the remainder of the 2018-19 season with the Charlotte Checkers on an amateur try-out agreement. 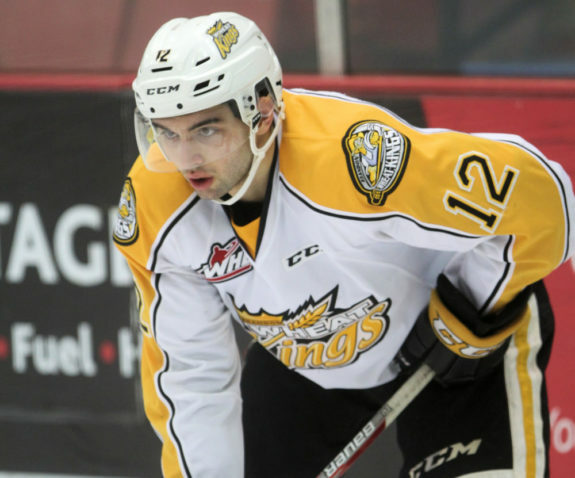 He just concluded his WHL career after spending four seasons (and one game in 2014-15) with the Brandon Wheat Kings. He’d score over 43 goals and 90 points in each of the last two seasons, including 44 goals and 96 points this season. Selected with the 73rd pick in 2017, Mattheos will look to bring his scoring pedigree to the Hurricanes organization in the AHL this season while looking to make the jump to the NHL whenever he’s deemed ready.